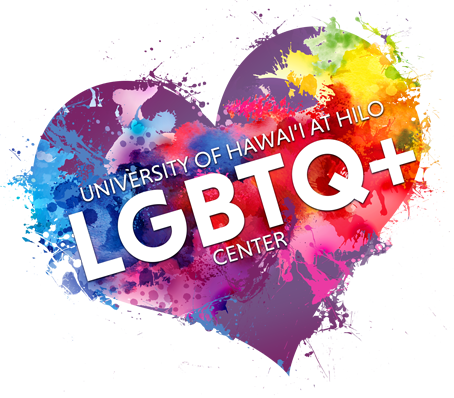 The University of Hawaiʻi at Hilo LGBTQ+ Center is committed to promoting a stronger, healthier and equitable environment for LGBTQ+ community and allies. The LGBTQ+ Center is an inclusive, safe space dedicated to empowering and fostering greater opportunities for people to thrive by providing activities and services that create connections between students and community members; provide essential LGBTQ+ resources; advocate for civil and human rights; and embrace, promote and support our cultural diversity regardless of identity or sexual orientation. 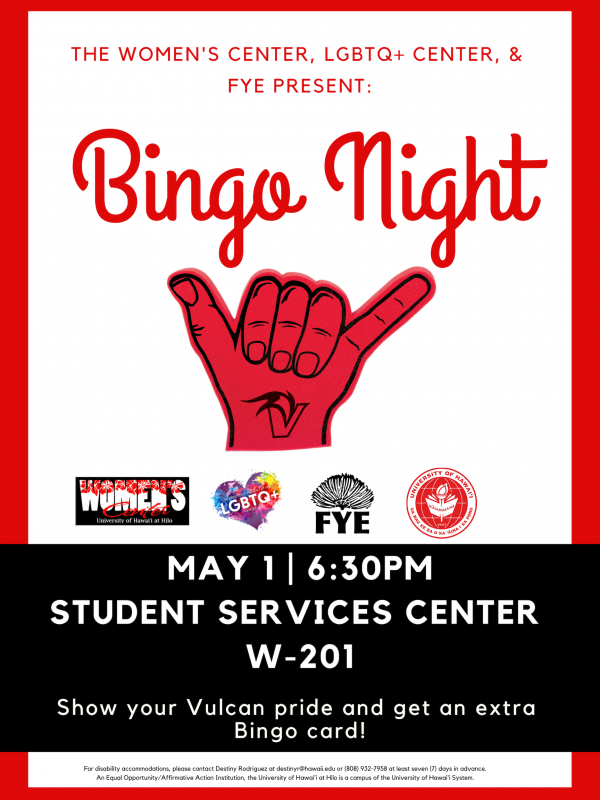 The purpose of the center is to provide a safe and inclusive environment for all regardless of identity or sexual orientation. If you would like to learn more about upcoming events and activities, or share ideas, send an email so you can be added to the center’s email list.